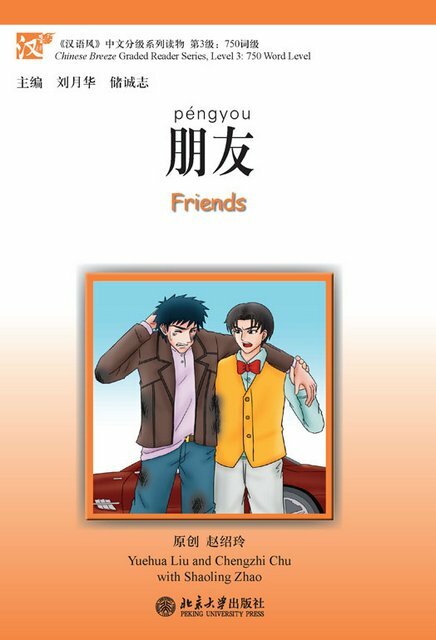 Friends is the newest book in the third level of Chinese Breeze which contains approximately 750 words. It was published in September 2014. Description of Friends: My father for all his wealth, could do nothing about his sickness. I, for all my hard-partying habits, did want to do something big with my life – to take over my father’s massive company. But my father asked me to go to Beijing first. He wanted me to spend some time with Zhang Li, a fellow college student whose father was even richer than mine. He wanted me to learn from Zhang Li and perhaps become more like him. In Beijing, I couldn’t find Zhang Li, and after a while I almost forgot what my father asked me to do. I couldn’t imagine that such unbelievable things had happened to me while I was in Beijing, and my life was completely changed. And in the end my father did pass his company to me.